Facial oils have become a new staple in my skincare routine. 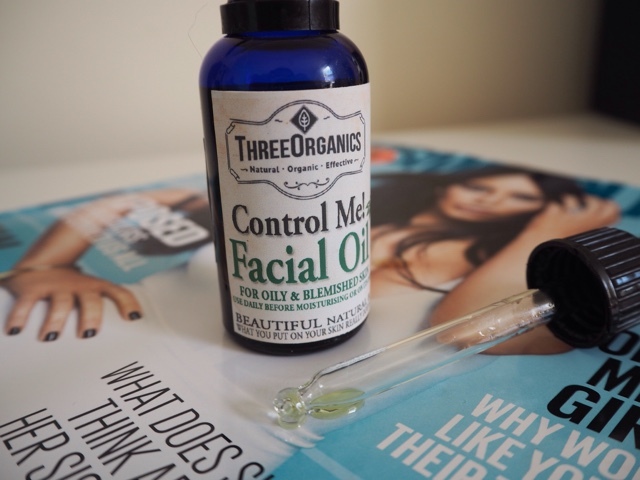 Never having used them until about six months ago, I feel as though they have improved my skin on a day to day basis, and this one from Three Organics has grown my enthusiasm for facial oils even more. Three Organics is a brand I have recently been introduced to. 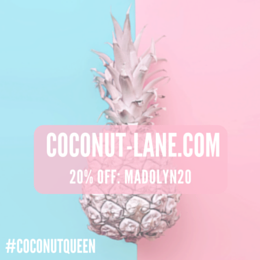 They are a company that pride themselves on using one hundred persent organic ingredients that are not only responsibly sourced, they are also not tested on animals. Their ideal is to create products that work effectively, using the least amount of natural and organic ingredients as possible. This skin, hair care and beard care focused brand pride themselves on the fact that you will fall in love with their products and they will become a solid part of your daily routine. 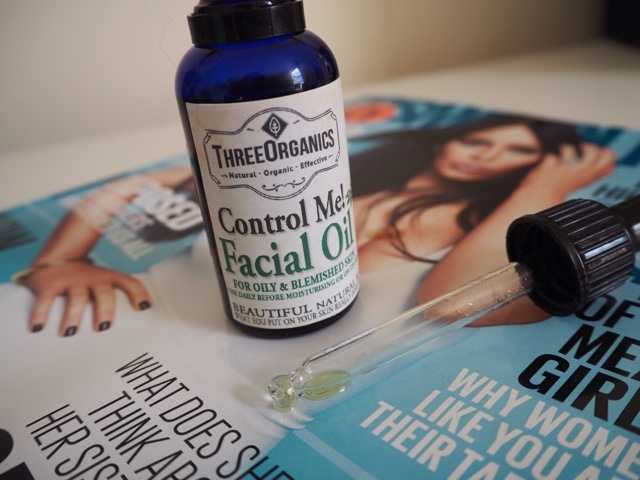 The Control Me Facial Oil is designed to work best with oily or blemished skin. 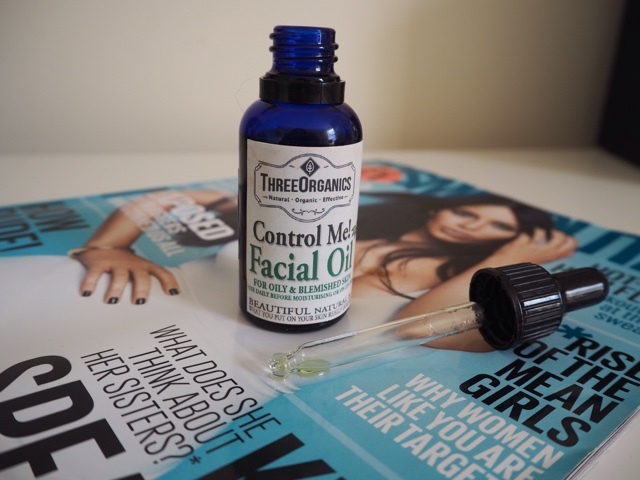 It contains Tee-Tree and Jojoba pure organic oils as well as added vitamin E. This is ideal for me as I have a combination skin type and so this facial oil, combined with my usual moisturiser, seems to be working well with my skin. I love the feel of this oil on my face and my skin instantly feels smoother, softer and appears to have a more even tone and feel to it. This every day facial oil has become a staple in my skincare routine over the past few weeks. I tend to apply this oil twice a day as it is so nourishing and hydrating on my skin. On a morning, after I have washed my face I have been applying 2-3 drops of oil, rubbing gently into the skin before applying my daily moisturiser, eye cream and make up. Then, on an evening after I have taken off my make up and cleansed my skin, I apply another 2-3 drops of oil before applying my night-time moisturiser. Do you use facial oils as part of your daily skincare routine?